Italy has raised the level of conflict with the EU. The “yellow-green” government in the founding member country seems to be ready for a tough clash with Brussels in order to implement the measures promised during the electoral campaign. After some misunderstanding related to migration policy –in that case part of a wider problem in the EU – at the end of September Rome announced a budget including a significant increase in expenses. The government said it would account for 2.4% deficit/GDP in 2019, a rate significantly higher than the 1.6% that Finance’s Minister Giovanni Tria had previously announced and almost three times higher than the previous government’s target. EU Commission President Jean Claude Juncker commented saying that Brussels would need to be firm with Italy’s budget bill “or else the euro ends”. The Italian deputy prime minister, Matteo Salvini, has threatened to sue Juncker for damages, accusing the EU president of pushing up Rome’s cost of borrowing by likening Italy to Greece. The risk is that Italian populist government move could push Italy’s debt to a GDP ratio higher than last year’s 131.2%. 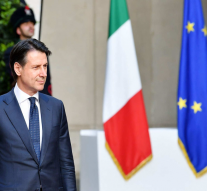 The move prompted the sale of Italian government bonds and an increase in the interest rate charged by Italy’s lenders, letting Rome to offer some concessions to fend off European Union pressure about its public finances. It seems that the government will maintain its plan for a shortfall of 2,4% of gross domestic product for 2019, while reducing the targeted gap to 2,1% and 1,8 % for the two successive years respectively. Italy’s coalition has argued that it is adopting a longer-term strategy to dig Italy out of the economic downturn; it insists the spending plans included in the document, to be published in the mid of October, will accelerate economic output and turn around decades of low growth and high youth unemployment. Rome hope that the mix of spending, much of it on health and a universal basic income alongside a boost for infrastructure projects, will increase consumer spending to push GDP growth beyond last year’s 1.6%. And the government argues the debt-to-GDP ratio will fall due to stronger economic growth spurred by the expansionary budget. The whole issue is that, while a headline deficit of 2.4% would be within the 3% European Union limit, under its current draft Italy’s structural deficit would rise along with the headline figure, which runs contrary to EU rules. In the EU, the Stability and Growth Pact requires countries to keep their deficit under 3% of GDP and to target a debt-to-GDP ratio of 60%. If they fail to reach these metrics, they can then fall under EU surveillance and have to comply with EU decisions on how best to tackle the debt. The Commission indeed is concerned that the budget will push up Italy’s debt, the second highest in the EU after Greece’s. “We don’t have any interest either that Italy does not respect the rules and does not reduce its debt, which remains explosive”, commented Eu commissioner Pierre Moscovici and the Commission said it will start assessing Italy’s budget plans in the week beginning October 15. It will be important to assess the detailed version of the budget plan to understand if it will be really sustainable. At the moment Italy’s plans include: setting aside 10 billion euro for a universal basic income of €780 per month for the unemployed and those on low wages; lowering taxes to a flat rate of 15 percent for more than a million workers; making 400,000 jobs available to the young by enabling people to retire earlier. The question is whether it is possible to reach all these objectives in the absence of additional resources and without worsening the deficit/GDP towards an explosive public debt. At the end of the day, while the debate with the EU will continue hopefully without further consequences, the 5-Star Movement (M5S) and their coalition partners in the League were at odds on 3th of October over the figures for the government’s 2019 budget: Interior Minister and Deputy Premier Matteo Salvini, the League leader, said that eight billion euros will be allocated to the “citizenship wage” basic income. The M5S disputed that breakdown, saying 10 billion would go to their flagship election pledge, nine billion for the benefit itself and one billion to revamp the nation’s network of job centres.